Who doesn't love a good magazine freebie?! It's the only time I ever really buy magazines as I'd rather read a book and catch up on beauty and fashion through blogs. This week though I've bought two copies each of Elle and Marie Claire just so I could get the products. With Marie Claire you get a choice of three products from Avon for only £2.50. 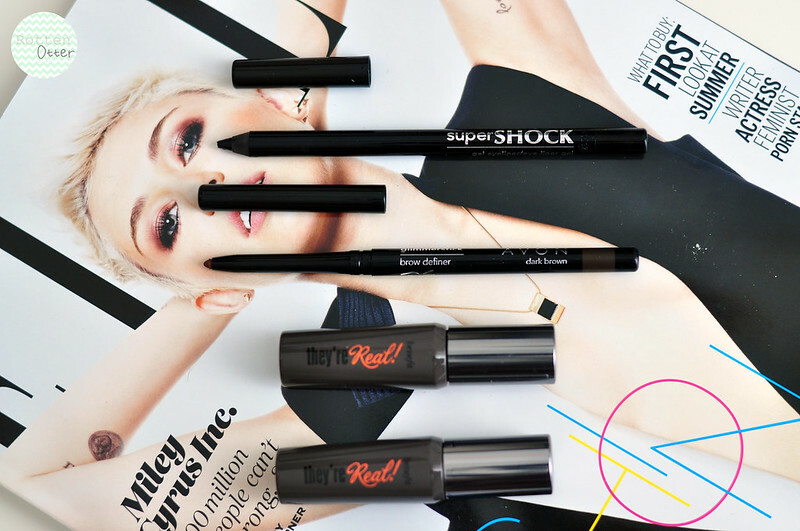 You can pick from either a lipstick in Smitten Red, a Brow Definer or a Super Shock Eye Liner. I went for the last two although I might pick up the lipstick at some point if there's still some left next week. 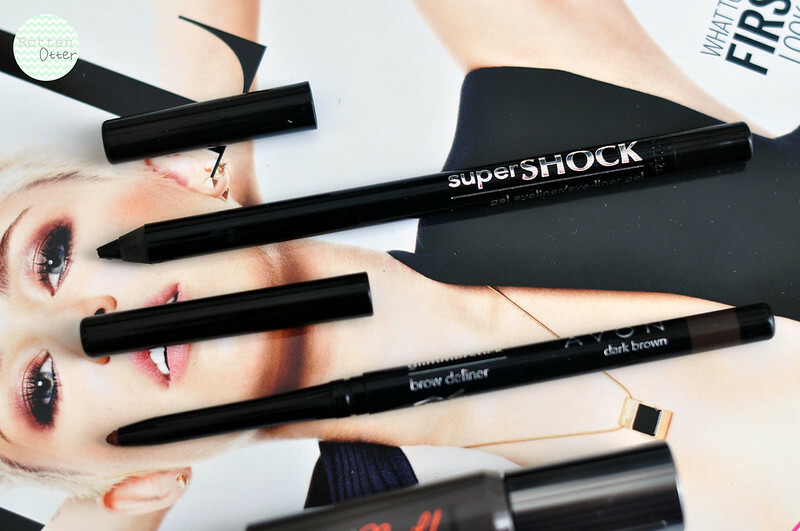 I've wanted to try the super shock liner in black ever since Pixiwoo raved about it but Avons not a brand I buy from and I didn't want to pay for delivery on only one product. It's a super pigmented black gel eye liner but in pencil form. It applies like a dream and lasts a really long time. It's a good contender against Urban Decays 24/7 liner in Zero. 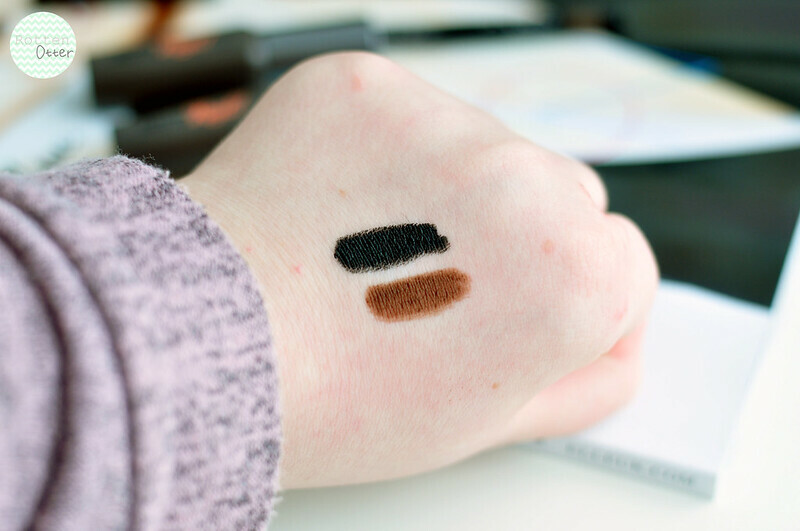 I don't have brown eyebrows but I bought the brown pencil to use as a brown eye liner which I tend to reach for during the day and save black for night. Because it's meant for brows, it's a very small pencil so I can create a very thin line and am also able to get in between my lashes better. 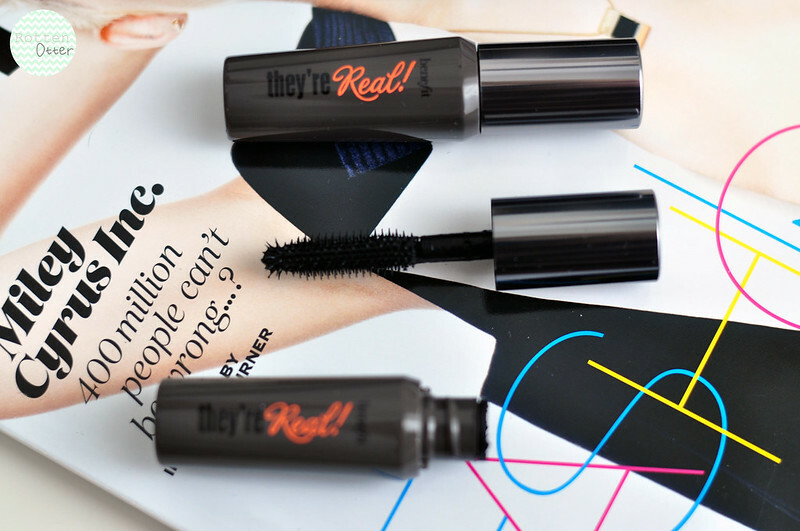 With Elle you get the They're Real Mascara from Benefit which I've also wanted to try for a long time but have heard it dries out pretty quickly so haven't really wanted to spend £17 on it. The magazine costs £4 and so far I am absolutely loving it. It has a plastic wand which I prefer and it lengthens, defines and creates volume. Now I've tried it I think I'll have to pick up the full size when I've used these two minis up. Have you picked up any magazine freebies recently? I'm eagerly awaiting the Benefit Glamour freebies which they tend to do each year. Anyone know if they're going to collaborate again this year? I love it when magazines bring out good freebies! I will have to have a look on my lunchbreak later!